SocialFlight is expanding worldwide. This includes international aviation events, airports and Points-of-Interest (POIs) within walking distance of airports and aviation events. Local aviation METAR weather is also provided for most airports. Following this latest expansion, SocialFlight now contains nearly 30,000 airports around the globe and 300,000 Restaurants, Hotels, Attractions, Transportation options, Campgrounds and Aviation Businesses; all within walking distance of an airport or aviation event. The rapid pace of development for SocialFlight is made possible by a growing list of aviation industry leaders partnering with SocialFlight to promote the aviation industry. Most recently, Continental Motors, Piper Aircraft and Jeppesen have teamed up with SocialFlight. This is in addition to SocialFlight's already impressive list of supporters, which includes Champion Aerospace, Sennheiser, Avidyne, AOPA Insurance Services, Lightspeed Aviation, Spencer Aircraft and ASL CamGuard. "From the very beginning, we have been receiving calls and emails from all over the world, requesting that we help energize and promote General Aviation throughout the international aviation community, building on the success we have had in North America." said Jeff Simon, President of SocialFlight. "We already have SocialFlight Ambassadors spreading the word and adding local aviation events in countries including Germany, South Africa, Norway, Australia and the Bahamas and are seeking more volunteers. It's a very exciting time and none of this would be possible without the incredible support we have received from our partners; the leading companies in General Aviation." SocialFlight is a FREE mobile app and web suite which maps graphically maps over 15,000 aviation events important to pilots such as Aircraft Fly-in's, Air Shows, Pancake Breakfasts, Conventions, FAA Safety Seminars and much more. Key to SocialFlight's success is the popular, personalized SocialFlight Weekly Event Planner, sent to SocialFlight members every Wednesday. 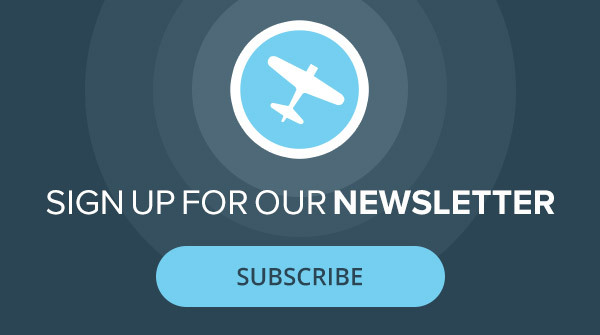 It contains news and upcoming events in every member's local area, supporting local flying organizations and motivating pilots to get out and fly! SocialFlight has grown rapidly since its launch just over a year ago, reaching over 200,000 pilots directly and through the SocialFlight event map used by General Aviation News, AVweb, Kitplanes, IMC Club and many other media outlets and organizations across the industry.